Dental implants are a viable option for individuals who want to fill in missing gaps where they don’t have teeth, as well as those who wear dentures and want a more secure fit. The process of having dental implants placed is a lot easier than you might think, and the aftercare is relatively effortless. Dental implants in Melbourne also have a high success rate, which means they’re a long-lasting option to improvethe look of your smile. This article provides useful information about dental implants to help you decide if they’re right for you. There are many reasons why you might need to have dental implants placed. Some of the main reasons why they’re required include filling in gaps where teeth are missing and helping dentures to fit more securely. Your dentist will perform an exam and take several x-rays and scans of your mouth to determine if you’re a viable candidate to have implants placed. 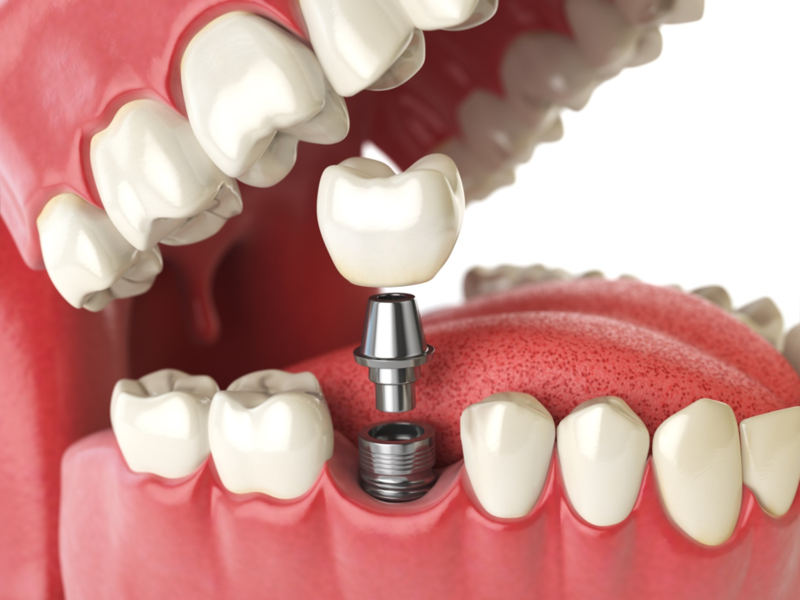 The process of having dental implants placed is easy and quick. It can be done right in the dentist’s chair and requires under full sedation or local anaesthetic according to your preferences. The titanium rod will be placed underneath the gum line and stitched in order for the implant to heal properly. The surgery itself only takes one to two hours depending on how many implants you’rehaving placed.Dental implants can take anywhere from three to six months to heal properly, and during this time, you will need to make routine trips to the dentist in order to ensure the implant is healing correctly. Some dental implants can fail and need to be removed and replaced. If you have any specific questions concerning the procedure, your dentist can answer these for youbefore you make the decision to have the surgery done. Your consultation is the perfect time for you to get answers to some of your questions so you know what to expect during and after the dental implant process. The aftercare of dental implants is incredibly important to ensurethey heal properly. After having the surgery done, you’ll go home the same day with a list of aftercare instructions. It’s vital to keep the area as clean as possible so that you can prevent inflammation and infection. If you’re in severe pain or experience any problems with a dental implant during the healing process, it’s important to contact your dentist immediately to arrange an appointment.